A dry martini, dirty martini, perfect martini or vodka martini; shaken or stirred, an olive or a twist. How do you like your martinis? 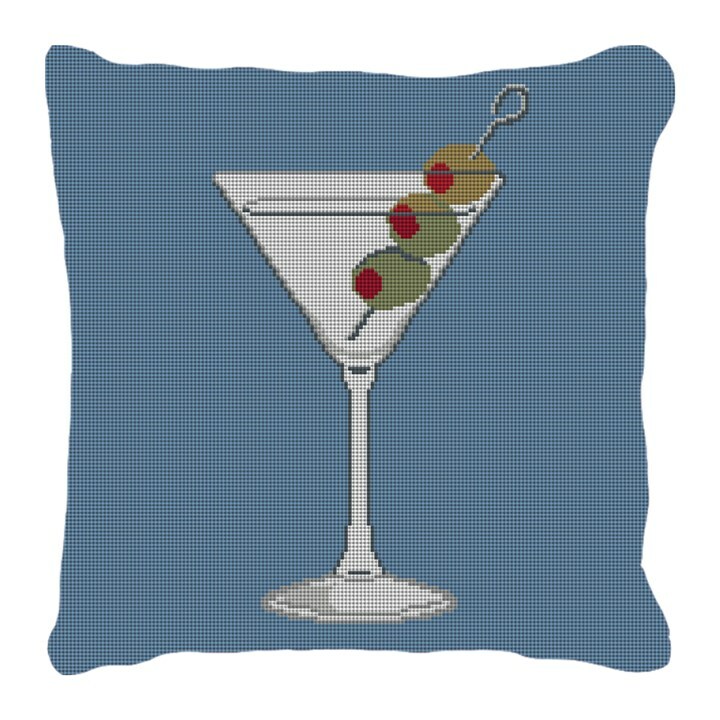 We have designed a needlepoint pillow canvas with America's classiest cocktail for you to stitch. A fun and clever addition to your living space, featuring the perfect martini!